↑ "Amrita Pritam: A poet passionate about the suffering of her Punjabi people". The Guardian. 4 November 2005. 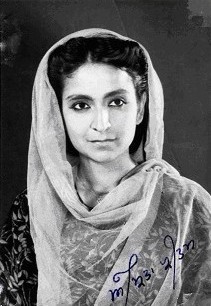 ↑ Amrita Pritam: A great wordsmith in Punjab’s literary history ਡੇਲੀ ਟਾਈਮਸ (ਪਾਕਿਸਤਾਨ), 14 ਨਵੰਬਰ 2005. ↑ "ਅੰਮ੍ਰਿਤਾ ਪ੍ਰੀਤਮ ਨੂੰ ਸਮਝਦਿਆਂ - Tribune Punjabi". Tribune Punjabi (in ਅੰਗਰੇਜ਼ੀ). 2018-09-01. Retrieved 2018-09-04.